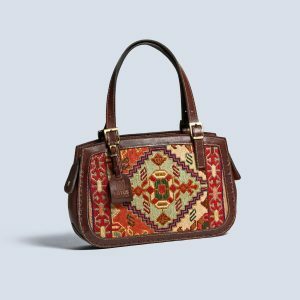 Featuring dark-brown leather straps, this striking kilim shoulder bag combines elegance and practical design. Elegant and versatile, this hand sewed tote features a fashionable leather and authentic kilim design. Perfect for everyday use or going out! 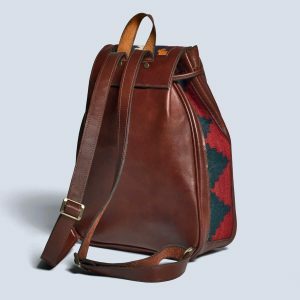 Made from original kilim and genuine leather, this vintage style backpack looks amazing and is spacious enough to make it handy for any occasion.